What happens when you don't get enough protein? A complete-nutrition diet should include high-protein foods, and it's to your advantage to be picky about where you get your protein. Fatty fish provides protein via healthy, unsaturated fats. Top sources of high-protein foods: herring, mackerel, sardines, albacore tuna, and (pictured) salmon. You probably don’t need to be reminded, but we’ll do it anyway—don’t skimp on high-protein foods. Here’s why: Protein is a nutrient your body needs in order to maintain its structures—including muscles, bones, skin, and hair. Furthermore, protein is a key element in compounds your body needs to function properly. 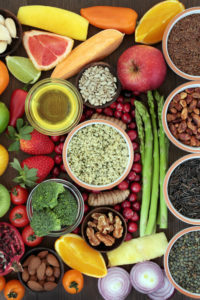 Consider that when you don’t get enough high-protein foods, you’re at risk for all kinds of damaging effects, from loss of muscle mass to depressed immunity to weakened cardiac and respiratory systems. For the compelling reasons above, your daily diet should include several servings of high-protein foods, whether from meat or plant sources. The daily Recommended Dietary Allowance (RDA) for protein is 0.37 grams per pound of body weight (or 0.8 grams of protein per kilogram of body weight). To determine your protein needs, multiply your weight in pounds by 0.37. For example, if you weigh 120 pounds, that’s 44 grams of protein per day; if you weigh 160 pounds, your RDA of daily protein is 57 grams. Newer research indicates that a slightly higher amount of protein—0.41 to 0.45 grams per pound—may be a better range for optimal health and muscle mass. Using this formula, a 120-pound adult would need 49 to 54 grams of protein per day, and a 160-pound person would need 66 to 72 grams per day. Use these numbers as a general guide; they are approximations. Equally important to the quantity of protein you consume is the type of the protein. Below, we discuss the best protein sources. When choosing protein foods, it’s all about the protein package—the other substances and nutrients that come with the protein. Consider that some protein foods also contain undesirable ingredients—such as saturated fat, sodium, and additives—that have been linked with negative health outcomes. What are the benefits of eating fish? First of all, fish is the major dietary source of omega-3 fatty acids—healthy fats that provide a multitude of heart health benefits. Eating omega-3-rich fish can lower your risk of arrhythmias, lower levels of triglycerides and blood pressure, and slow the growth of plaque in your arteries. Other protein sources come in a healthy package. For example, fatty fish offers protein packaged with healthy, unsaturated fats, including omega-3 fatty acids. Fatty fish include salmon, herring, mackerel, sardines, and albacore tuna. 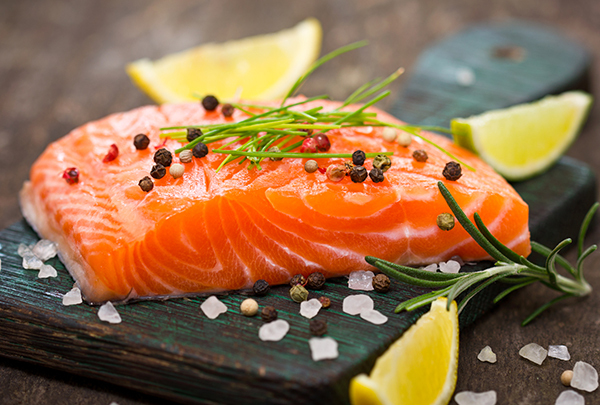 The benefits of eating salmon and other fatty fish have been supported by so much research that the American Heart Association advises adults to eat at least two servings of fish, particularly fatty fish, each week. Include fish in at least two of your healthy meal plans each week. Other high-protein foods from animal sources include other species of fish, such as haddock, trout, flounder, tuna, catfish, and bass; shellfish, including oysters, clams, scallops, and mussels; and crustaceans, including shrimp, lobster, and crab. And be selective about your fish choices. Choose sustainable fish that are not threatened or endangered, and avoid the four fish with the highest mercury contents: shark, swordfish, tilefish, and king mackerel. Skinless breast of chicken and turkey and low-fat milk and yogurt are other high-protein foods to include in your diet plans. And plant sources are a reliable way to get the protein you need. That includes beans, peas, nuts, and seeds, along with vegetables that should be in your diet anyway. 2 diabetes, add, almonds, alzheimer, arthritis, benefits of eating fish, blood pressure, cancer, cancer risk, carcinogenic foods, complete nutrition, depressed, depression, diabetes, diet, diet plans, food, health, health news, healthy fats, healthy meal plans, heart disease, heart health, high protein foods, how to eat healthy, immunity, inflammation, mercury, milk, muscle, muscle mass, nutrients, nutrition, nutrition diet, nuts, omega 3, omega 3 fatty acids, omega 3s, protein, protein sources, skin, soy, Triglycerides, type 2 diabetes, types of cancer, university health news, vegetables, walnuts, what is nutrition, yogurt.